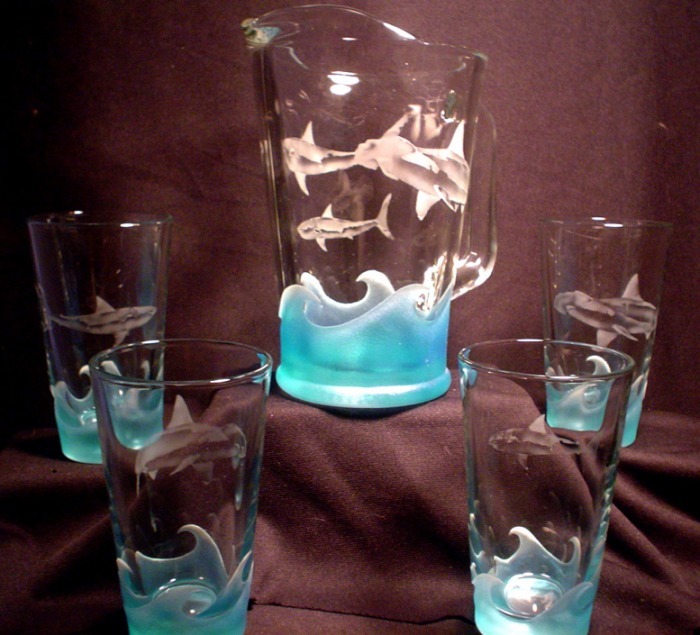 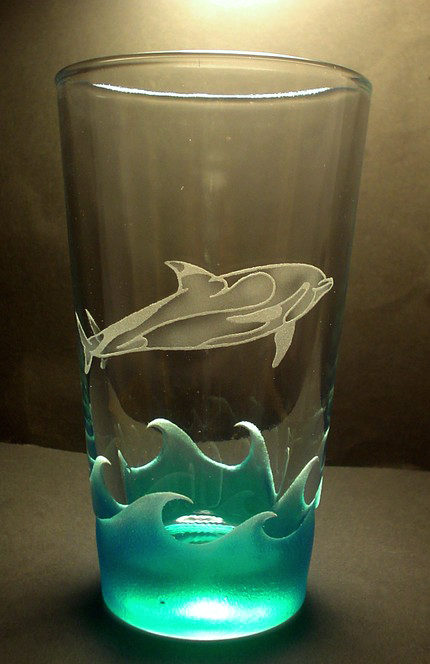 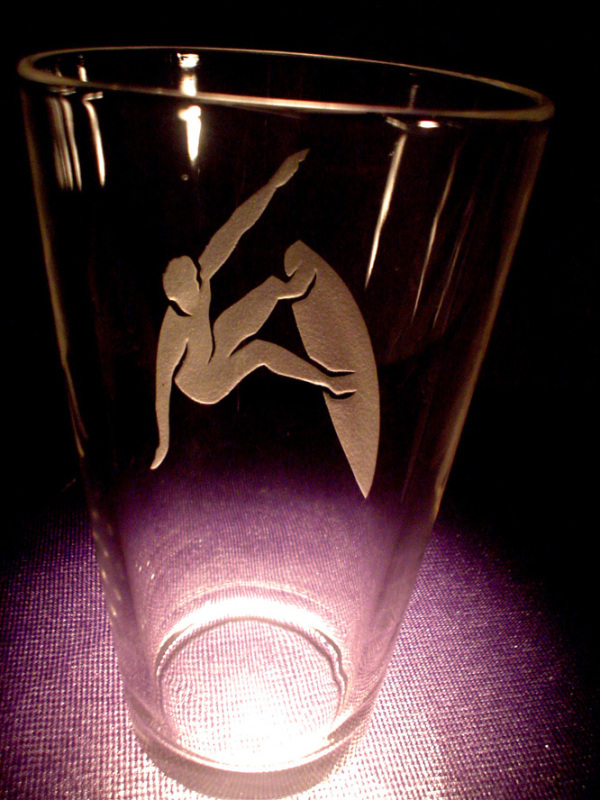 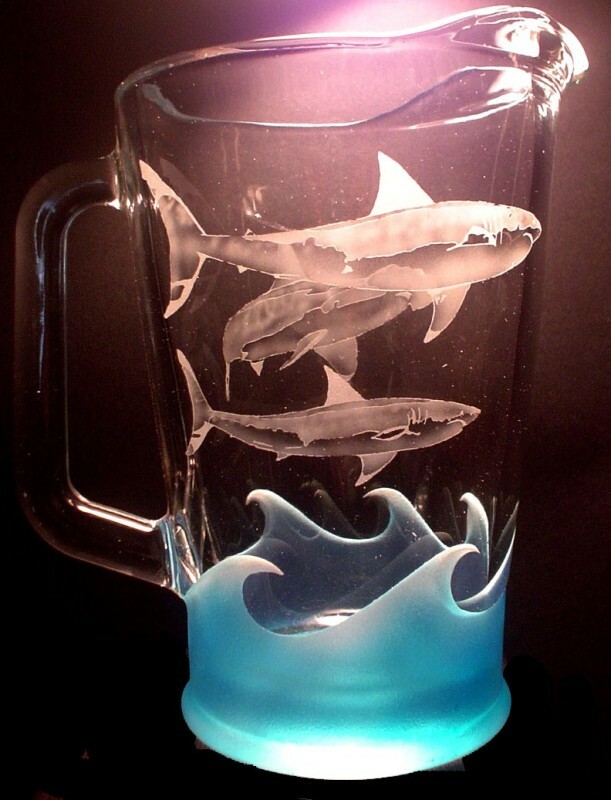 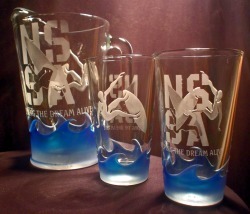 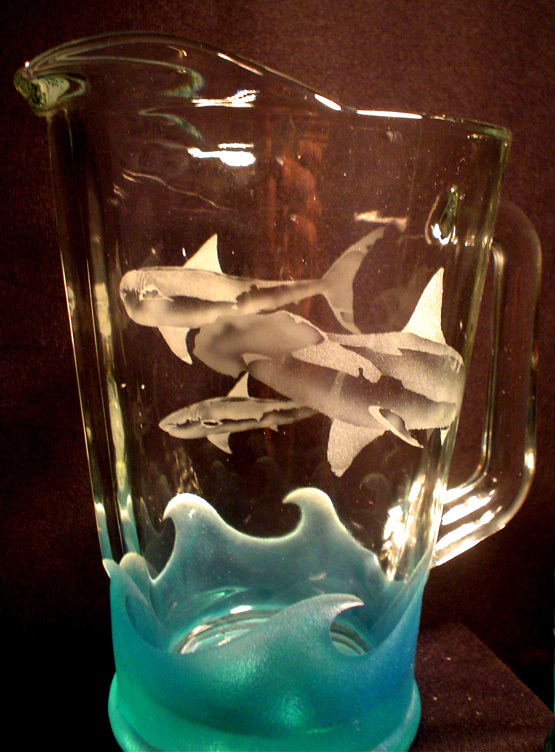 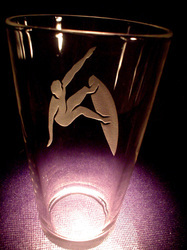 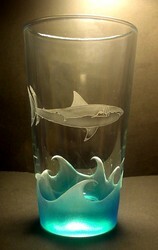 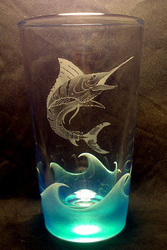 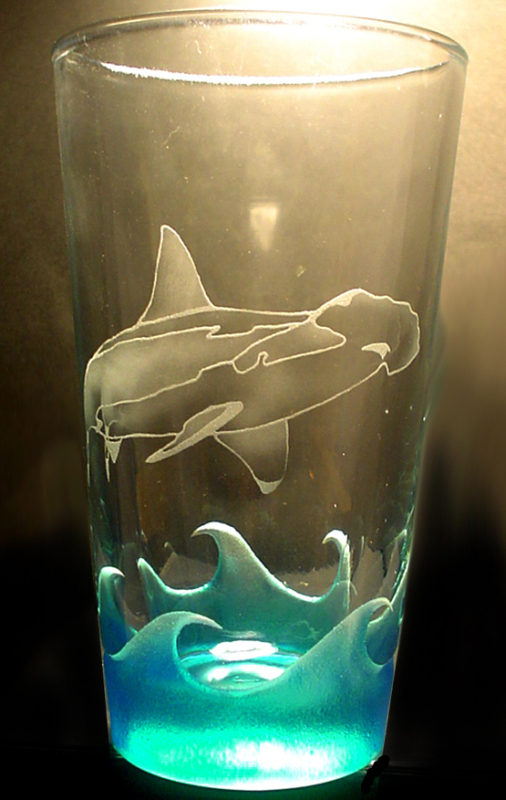 A unique line of high quality glassware with deep carved waves and surface etched images. 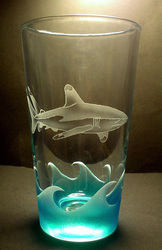 Glass is painted with special glass paint that is baked and made dishwasher safe. Thick, 14oz. 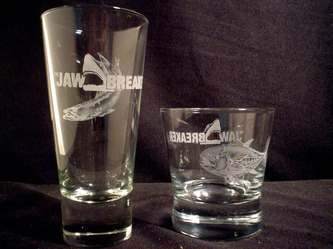 glasses and matching 60oz. pitchers. 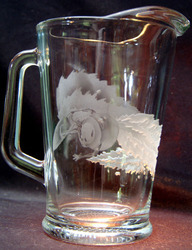 On occasion I will add new critters or update designs or even use some of my more "stylized" designs. 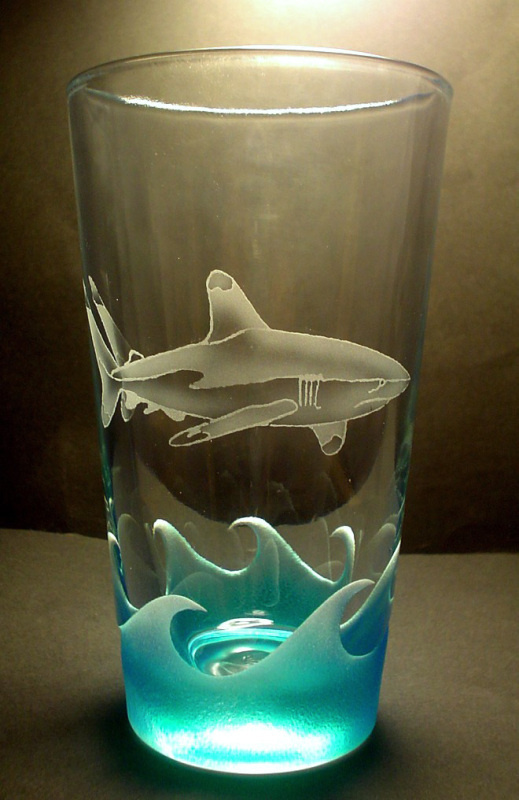 As well, I can make you personalized glassware or add text/names to the glasses I offer.